Where Is The Bubble Sentiment? If this is a bubble like the perma bears like to believe, then explain to me where the bubble sentiment is. The fact is that the Great Recession is still vivid in most traders minds and most are still waiting for the next shoe to drop. 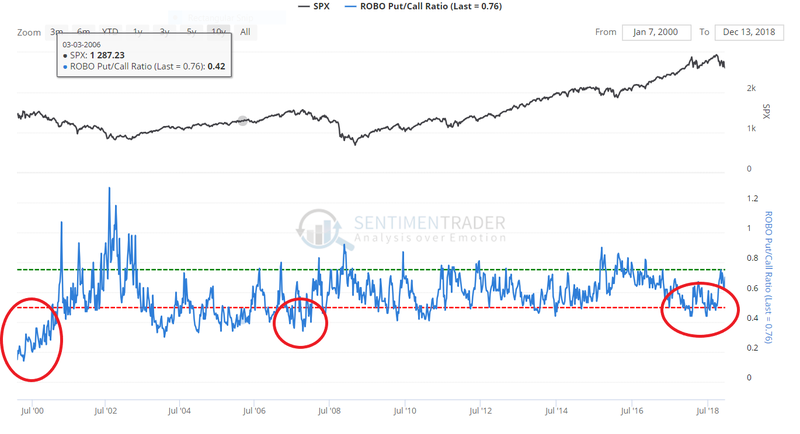 Sentiment barely even reached mildly bullish levels at the September top much less the wildly bullish levels for months on end that mark true bull market tops. In fact this entire bull has been marked by cautious investor sentiment thanks to the Great Recession. That means there’s still lots of fuel to drive this secular bull for many years to come. Heck we haven’t even seen sentiment comparable to the last bull market top and that was just a cyclical bull within a secular bear. When we enter the next bubble, sentiment will look like it did at the 2000 top.